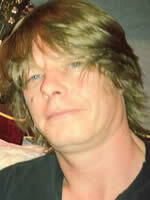 Lee Nicholson was born in 1975 in the United Kingdom's Pennine region, an area with a rich history of UFO reports. He began actively researching the UFO subject in 1991 and was a subscriber to the once popular UFOMagazine(UK) and regular attendee at their annual conferences held in Leeds. In 1995 he began investigating the case of a local builder and his family who were experiencing a wide range of UFO related phenomena. They observed and filmed UFOs on numerous occasions, witnessed poltergeist activity and experienced numerous possible abduction related events, including entity sightings. Lee has posted several articles and interviews over the years including, written interviews with Mark Pilkington author of Mirage Men and Col. Richard Weaver. AFOSI(ret) author of the USAF report on Roswell . He has also co-produced audio interviews with Roswell witness Earl Fulford, US Army (deceased), and former NASA mission specialist Bob Oechsler. Recent projects include an analysis of a document leaked 1992 which appears to be identical to declassified CIA Information reports and an upcoming written interview with David M. Jacobs Ph.D. In 2006 Lee joined The Open Minds Forum and was eventually to become a co-owner before its closure in 2011. He is currently a co-owner and co-administrator at The OutPost Forum. Lee is a former member of the board of editors of JAR Magazine.